Just a quick reminder that the submission deadline for Grand Rounds 6.23 is tonight at 11:59pm ET. Thanks to all of you who have already sent me a post - There are already a bunch of links that I have to go through to put together this week's Grand Rounds. Great stuff out there! Also, I invite you to check out a special Sunday Night edition of The Doctor Anonymous Show which will be Show 149 tonight, February 28, 2010 at 8:30pm Eastern Time. If my internet connection holds up in the hotel room here, I will be broadcasting live here in Atlanta on the eve of the HIMSS 2010 annual conference (Healthcare Information and Management Systems Society). I will also be making one last push for submissions for this week's Grand Rounds. And, I will be sharing some thoughts on the weekly Healthcare Communication & Social Media (HCSM) twitter conversation. If you are new to the show, I encourage you to catch us live. There is a great chat room that also goes on. In addition, you can call into the show to say hello. Can't catch us live? That's ok. You can listen anytime after the show as it is saved as a podcast so you can listen anytime! Just a quick reminder to the medbloggers out there that Grand Rounds Vol 6 No 23 - will be coming here on March 2, 2010. Thanks to those of you who already e-mailed me a post. I really appreciate it. For the rest of you, just a gentle reminder - in case you forgot before the weekend. For more details on submission guidelines for next week, click here. I'm really looking forward to Grand Rounds next week! I invite you to join me tonight for Doctor Anonymous Show 148 where our guest will be StoryTellERdoc. This is the winner of the 2009 Medgadget Medblog Award in the Best Literary Blog Category. Check out the full preview post here. I am so excited to be going to my first HIMSS conference next week in Atlanta. From what I understand, this IS the largest health related IT conference around and one of the world's premier conferences on medical information and technology management. Since I have a passion both for medicine and for technology, I figured that this conference would be perfect for me. I really have no expectations as far as what I'm really looking for - other than to learn a bunch of new stuff and meet a lot of great people. I have been asked by Dr. Val to help out in the Better Health coverage of the event. I'm happy to help out. Here's the announcement on Better Health, if you haven't seen it yet. 2. Participate in real time via Twitter. Follow @drval and tweet your questions to her during the interviews. She may ask the interviewees YOUR questions LIVE. To follow Dr. Val, go to: http://www.twitter.com/drval or follow the Twitter hashtag #HIMSS10 during the event to see tweets from UStream attendees and others. 4. Watch Dr. Val Reporting from HIMSS on ABC News (DC only): Tune in to News Channel 8 at 10:50am, Wednesday March 3rd to get Dr. Val’s take on the hottest technology presented at HIMSS. Dr. Val will join ABC News’ Dave Lucas via Skype. 5. Follow the Better Health blog team. Better Health contributors - nurses, doctors, and health writers - will offer feedback via their blogs on HIMSS events, speakers, and exhibitors. You’ll see their blog posts on their individual blogs and also at Better Health. Flip cam clips of HIMSS events (captured by one of the Better Health MDs at HIMSS) will be featured as well. If I get a chance, I'd like to try to do some interviews of my own during HIMSS. So, if you see me coming at you with a camera, please don't be afraid (hehe). I'm just hoping to share a little bit of my HIMSS experience with my friends. In the video below from last fall's BlogWorld Expo in Las Vegas, you'll see how much fun I have talking with people. I'd like to thank Nick Genes (the "grand poobah" and founder of Grand Rounds) for another opportunity for hosting Grand Rounds. My first opportunity was for GR 3.09 all the way back on November 21, 2006 (was it that long ago). My second opportunity was for GR 4.08 on November 13, 2007. And that was a cool experience I "premiered" grand rounds live on my internet radio show when I was on the road in Arizona. You can check it out the show in the player below. Grand Rounds 6.23 will occur here on March 2, 2010. I'll be on the road again as I post this Grand Rounds. I'll be in Atlanta at the HIMSS 2010 conference and I will be helping out Dr. Val and Better Health in coverage of that event. The deadline will be 11:59pm eastern standard time on Sunday, February 28th, 2010. I will be selecting what I think are the best five of the week and will place them at the top of the post. For the rest of the GR 6.23 post, I will be posting them in the chronological order of when they appear in my e-mail box (presuming I think they are appropriate for GR). I hope this encourages you to send me your link early. Send GR posts to doctoranonymousblog at gmail dot com. Please place "GR 6.23" in the subject line. If I have a decent internet connection in Atlanta, I encourage you to join me for my live internet radio show (conveniently called "The Doctor Anonymous Show" hehe) on Sunday, February 28, 2010 at 8:30pm Eastern Time as I will be trying to drum up last postings for my Grand Rounds and share some thoughts before my first HIMSS conference. Hope to see you for the show and and get writing! Thanks again to Rhett Fleitz and John Mitchell for being guests on Doctor Anonymous Show 147. We had a great conversation about how they chose their career as a firefighter/EMS responder, their respective websites, and firefighter/EMS social media community in general. 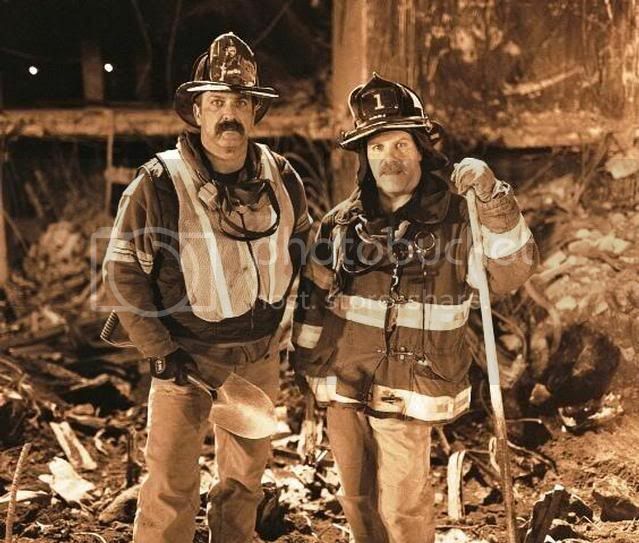 It's so interesting that they have never met in person, yet, they collaborate on the podcast called FireFighter Netcast. Close to the end of the show, our good friend Dom called into the show to join the conversation. He is a volunteer firefighter in Tennessee and told our guests that he has forwarded some of the information from their show onto the people that he works with. How connections are made in the social media space continue to amaze and inspire me. As always, you can listen to the show in the player above. Or if you like, you can download the show and listen anytime by clicking here. I also encourage you to become a Facebook Fan of the show. 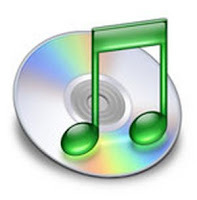 Like what you here, just click here and that will take you to my iTunes page where you have access to previous shows. Finally, check out the first few moments of the show in the video below. Have a great week everybody! 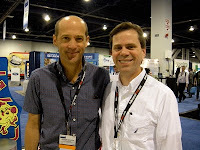 Rhett Fleitz is the author of the blog FireCritc and John Mitchell is author of the blog FireDaily. We'll talk about their show, their blogs, and the firefighter/EMS internet community. We may even talk about the recent premiere of Chronicles of EMS. This week, Doctor Anonymous Show 147 welcomes two great people from the firefighter and social media community who are hosts of the podcast called Firefighter Netcast. Rhett Fleitz, who is author of the blog Fire Critic, has been around the Fire/EMS Service for around 15 years. John Mitchell, who is author of the blog Fire Daily, is a lieutenant in suburban Chicago and just started his blog only five months ago. So, I hope you'll be able to join us live on Thursday, February 18, 2010 at 9pm Eastern Time for Doctor Anonymous Show 147. For those who may be new to the show, there is a chat room during the show. You can also call in to say hello. There is even a webcam so that you can see me do the show live before your very eyes. Don't forget to become a Facebook Fan of the show. Also, check out the video promo below. Hope to see you for this week's show! Thanks to those of you who were able to check out Doctor Anonymous Show 146 either live or on the archived podcast. I talked about my recent recognition as Blogger.com Blog Of Note. I also talked about some general thoughts about the olympics and some specific thoughts about the Vancouver opening ceremonies. Finally, as you will see in the video below, I shared some stories related to Valentine's Day. As always, you can listen to the full audio podcast in the player above. If not, you can download the show and listen anytime by clicking here. Hope you had (or are having a good extended holiday weekend). Happy President's Day and thanks for your continued support of my blog and of my show! I don't know what it is about the olympics, but it definitely fires up feelings of inspiration and joy. The people are different, but the feelings, in general, are the same. These people from around the world, work at least four years for a moment like this. All their hopes an dreams could be realized or crushed by a millisecond or a tenth of a point. And, of course, tragedy has also struck the Vancouver games even before the opening ceremonies. In my opinion, the press, like it usually does, spends way too much time on the negative - even days later. I know it's a legitimate news story, but the manner that this story was portrayed - I had a problem with. Anyway, there are so many stories that are brought to the games - from around the world. Just when you thought that you heard every olympic story that could be told through the years, another inspiring, or heart-breaking, or motivating tale is told. If for anything else, these two weeks of the olympic games will be a nice escape from the reality of the world that we live in - whether it be the economy, or the weather, or whatever personal challenges that we are all facing. Thanks so much to Drew Griffin from The Wound Care Education Institute for coming on Doctor Anonymous Show 145. We had a great conversation about how he became interested in health/medicine and his path toward nursing - and then subsequently his interest in wound care. We then talked more about specifics about WCEI and how a physician (like me) can approach on how to care for a wound. Following this clinical conversation, we talked about his personal website and is passion of digital/social media. The first question I asked him was his opinion of the iPad (how could I do that? hehe). Then we talked about the importance organized medicine should become more involved in social media. As always, you can listen to the show on the player above. Or, if you like, you can download the show and listen anytime by clicking here. Also check out the show wrap-up video below. My next show will be Show 146 which will be on Saturday, February 13, 2010 at 9pm Eastern Time. Hope to see you then! Just in the past hour or so, I just happened to be checking my stats, and I noticed a SIGNIFICANT jump up in visits. When I explored further, I found out that Blogger selected the "Doctor Anonymous" blog as their Blog of the Day or what they call "Blog of Note" (see image above). According to the "Blog of Note" page, they want to recognize "Interesting and noteworthy Blogger-powered blogs, compiled by the Blogger Team." I have no idea what the selection criteria is. But, I want to very much thank Blogger not only for being today's "Blog of Note" but also for the opportunity to host my blog on this platform. Welcome to those of you who are new to the blog. If you are wondering, yes, I am a "real" physician. I am a Family Medicine Physician in NE Ohio and I have had this blog since 2006. I enjoy blogging about medical topics, but I enjoy writing about just about anything. As you can see from my sidebar, I'm involved in a lot of aspects of social media including podcasting and video. I hope you will take the opportunity to take a read of some of my other posts. I have had over 1000 posts and early on some of the most commented posts included ones about leaving the office against medical advice, do you prefer your doctor wearing a lab coat or no lab coat, do you prefer your doctor (presuming male) wearing a tie or no tie, and participating in sharing the best medical posts of the week in a blog carnival called "Grand Rounds." I have also written posts about some medical controversies including what was called "The Ashley Treatment," the possibility of a uterus transplant (particularly for those desiring children), and asking the question "Is depression really depression?" This blog has received recognition from entities like the online publication of The American College of Physicians, the online site of The Cleveland Plain Dealer newspaper, the online site of The Seattle Post-Intelligencer, FoxNews.com, the medical website Better Health, and even iTunes. Thanks for checking out my blog! Drew and I also had a great discussion about Hyperbaric Oxygen Therapy and how that can help in wound care. Hopefully, we'll be able to talk about that a little bit as well. I encourage you to check out the "About Drew" page on his blog, which is pretty impressive. He also has interesting "geek" credentials, in that he describes himself as "A former Education Specialist Trained by eBay, Drew has taught individuals, businesses and organizations how to integrate eBay based commerce and utilize Social Media tools to connect with their communities by delivering value." So, I hope you'll be able to join us live on Thursday, February 11, 2010 at 9pm Eastern Time for Doctor Anonymous Show 145. For those who may be new to the show, there is a chat room during the show. You can also call in to say hello. There is even a webcam so that you can see me do the show live before your very eyes. Don't forget to become a Facebook Fan of the show. Hope to see you for this week's show! One of the great things of being in a group practice is meeting and taking care of patients who may not necessarily be on your own personal patient panel. Walking into the room, I hear the patient say, "Doc, you gotta help me." I see a red right forearm and on the "complaint" section, the nurse wrote "burn." So, I ask, "Well how did you burn your arm?" "Well, doc, I got cancer." Hmm, that's interesting. I didn't make the connection until the next sentence. "It was my last treatment with chemotherapy about 2 weeks ago and for some reason, the needle slipped and the stuff went all over my arm. The cancer doc prescribed these pills, but they don't seem to be helping. I asked the pharmacist about some salves and this is what they said." He showed me a handful of creams and ointments purchased at the pharmacy. Since I didn't know this patient at all, I was leafing through a very thick paper chart to try to catch up. "Yeah, I've been coming to see Doc [name] for a long time now. I'm glad you were able to see me today since his schedule was full." This very pleasant patient then told me about how they diagnosed his cancer - a tear came to his eye - it's like he was re-living that moment again. I shifted the topic to his treatment, and he told me all about the cancer center he's been at and about his cancer doctor. "They told me all I needed was one more treatment, and this happens to my arm." "Well," I said, "unfortunately, this is something that sometimes happens during any kind of cancer treatment." I really had no loyalties going into the game - meaning I really didn't care who won - other than it was a competitive game. While following twitter during the game, I would occasionally glance up and see the SuperBowl commercials. As predicted before the game by tech pundits, Google for the first time had an ad which most people on twitter liked, but I did not. Oh well. And ad which really snuck under the radar, and will probably get a lot of discussion on the day after the superbowl will be the Letterman/Leno/Oprah awkward looking but entertaining 15 second ad. Thanks to everyone who checked out Doctor Anonymous Show 144 either live or on the archives. I talked a little bit about this week's health/medicine news stories, including this one, and also covered some not-so-serious news stories. Thanks so much to our buddy Enrico who called into the show. It's was nice to talk with him again after a long absence - welcome back! As always, you can listen to the show on the player above. Or, if you like, you can download the show and listen anytime by clicking here. Would like to listen and download other Dr. A Shows, we'll just click DoctorAnonymous.org and that takes you to my iTunes page where you have access to all my past shows. Thanks for your continued support of the website and of the show! Is The US Swine Flu Epidemic Over? A report yesterday from the Associated press asks the question, "Is The US Swine Flu Epidemic Over." In the article, you see the graphic above which showed a spike in cases nationally to be in October as well - then a rapid drop off. It seems that just recently, federal health officials have begun to downplay the virus. However, there are some in the academic/scientific community not quite ready to call it over yet. The Centers for Disease Control and Prevention released numbers Friday showing most states continued to have only occasional flu activity last week. However, only three states had absolutely no reports, and a CDC official cautioned that swine flu is still around and is likely to keep infecting people for weeks or months to come. "We don't seem to be seeing the disappearance of this virus," said the official, Dr. Anne Schuchat. Whether there will be another wave of swine flu — as was seen in the spring last year and again in the early fall — is a much harder question, she added. Her comments reflect a raging debate among scientists. One expert told The Associated Press he thinks a spike in H1N1 cases is likely by May, though perhaps a smaller one than last fall. Another said he did not expect another spike. 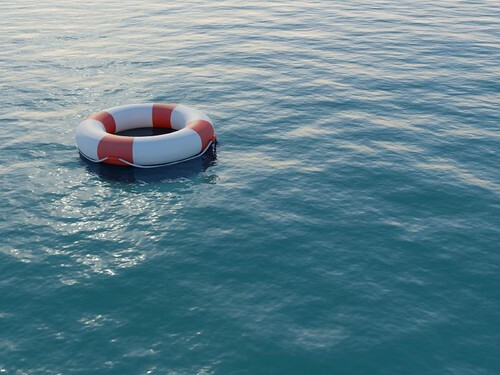 A third predicted another wave, but not until next fall at the earliest. A fourth refused to even guess. Finally, what follows below are a couple of TV interviews I did as recently as a week ago giving local viewers an "H1N1 Update." (link to Interview1 and Interview 2) Even though the data is showing a drop off in cases, I still recommend people still receive an H1N1 immunization (like from this New Mexico news report). I just remember how complacent we all were locally around here just before October 2009 hit. So, even though I believe that this outbreak has pretty much completed, who knows what will happen in the future. And if a next outbreak occurs in the next few months, as some have said, we'll be even more prepared than we were before. His website is called "Pediatric Dentistry" and we talked about how his posts are a reflection of what he tells parents and patients all the time about certain dental conditions. One of his posts called "My Child Tooth Is Turning Dark" has garnered over 100 comments. Finally, we discussed some of the experiences he has had in the social media sphere including meeting up with internet celebrities like Gary Vaynerchuk and Chad Vader - and also an interesting story about meeting up with actor Anthony Edwards at BlogWorld Expo last year. I'm taking more of an active interest in the electonic medical/health record - especially with the transition that we're going through in our office and at the hospital. In doing some reading and research, a lot of people out there have pointed to a group called HIMSS - which stands for Healthcare Information and Management Systems Society. They have a pretty good website over there that I have been reading a lot. I took a bold step by actually taking the time to go to their annual meeting next month - which will be in Atlanta. Since I have registered for the conference, I've been getting e-mail messages about the many events that will be taking place out there. (For example, here is one about their Social Media Center) I will only be able to stay for a couple of days or so, but I'm pretty excited about it. My goals will be to try to connect with other docs about the issues that our office and our community hospital are going through when it comes to electronic medical/health record. And, maybe, I'll be able to meet up with some med social media folks when I'm out there, if for anything else, to say hello! Have a great weekend everybody! I hope you can join us for Doctor Anonymous Show 142 when our guest will be Dr. Dean Brandon (pictured above with actor Anthony Edwards). Dean is the author of the blog Pediatric Dentistry. I encourage you to check out the preview post for this show to learn about some of the topics that Dean writes about. I met him at BlogWorld Expo 2009. "Hello Mrs. Jones," I say as I walk into the exam room. "How many times do I have to tell you that it's ok to call me Dot," this very pleasant 64-year old female says to me. As I look at her chart, I'm always trying to figure out how Dot was shortened from the name of something like Dorothy, Dolores, or Desiree. "I haven't seen you in a while," I continue. "Well, doc, I got laid off a few months ago and that's why I haven't been in the office for a while." "I need my refills today, but I have no insurance right now. I hope in the next 7 months that nothing really bad happens, because that's when my Medicare kicks in, and in this economy, I don't anticipate getting another job any time soon." "How have you been doing," I asked. "Well," she said, "it's been rough, since I have a little medical training, I've been helping take care of my sick relatives, and that's been a stress on me. In addition to always thinking about my financial situation." She was talking like her usual self -- Then -- She paused -- Silence -- And it felt like an hour of no words between us. I saw a small tear forming, and this is when the flood gates opened. She broke down right there in my office. "I'm sorry doc," another couple minutes passed by. "I have felt like I've had to stay strong for my family for so long. But, I gotta be honest with you, I'm really scared right now..."
We had a great conversation following this about her family, her life, and finally, about her health. When I left the room, I looked up at the clock and saw that I was now very behind in my schedule. But, sometimes, there is a key moment in someone's life that needs to be recognized. This is why I went into medicine. I actually felt like I made a difference that day. This is why I love being a family physician! If you haven't already heard, February is American Heart Month. I've been reading a lot about this in the past few days (you'll see below why). But, one of the statistics that I found interesting was that every 25 seconds, an American will have a coronary event (likely a heart attack). This stat is right from the CDC website. You probably already knew that heart disease is the leading cause of death in the United States and is a major cause of disability. About 2 weeks ago, the American Heart Association started a new educational program called "Life's Simple 7." These are seven factors associated with ideal heart health. The areas they emphasize include Get Active, Eat Better, Lose Weight, Stop Smoking, Control Cholesterol, Manage Blood Pressure, and Reduce Blood Sugar. You can get more details on these areas over on their website. In an effort to help spread the word on these concepts, I had a television interview on local TV news on February 1st, 2010 talking about American Heart Month and these seven factors. You can see the video below. (If you find the video useful, I encourage you to check out other tv interviews I've had on other health topics at MikeSevilla.TV). After a short hiatus, The Doctor Anonymous Thursday night show returns this week with guest Dr. Dean Brandon (pictured on the right above) who is author of the blog Pediatric Dentistry. We met last fall at BlogWorld Expo in Las Vegas. We had a great conversation out there about how social media relates to health/medicine issues. In addition to utilizing social media for fun, Dean also utilizes it for his business. You will see on his blog posts like "What is Pediatric Dentistry," "The Business of Pediatric Dentistry," "White Fillings Vs Silver Fillings," "Orthodontics (Braces)," and "Laughing Gas (Nitrous Oxide)." In the video below, you'll see the opening of the new office. 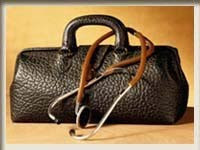 So, I hope you can join us on Thursday, February 4th, 2010 at 9pm Eastern Time for Doctor Anonymous Show 143. In case you didn't know, in addition to the live podcast, there is a chat room, a webcam of me, and your ability to call into the show to say hello. Hope you can join us this week for the show! 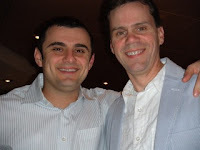 Recently, I finished reading the book "Crush It" by Gary Vaynerchuk. You may know this guy from the popular video blog/show called Wine Library Tv. I've always been curious about how people who are considered internet celebrities - how the make it - how they become successful. This book (which I do recommend) outlines steps that Gary did to grow his family's wine business to a multi-million dollar operation. He also emphasizes that all of us are an online brand onto ourselves. If you have a facebook, twitter, or any other social media account somewhere, you are a brand and you have to cultivate and manage that brand. I definitely agree with this. Every so often, I have considered giving up the "Doctor Anonymous" moniker and just branding myself with my "real" name. 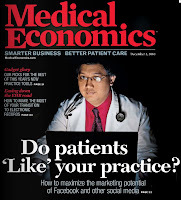 But, as I found out going to BlogWorld Expo last fall, and meeting up with a lot of other people in the medical/health social sphere, they told me, "We would continue to call you Dr. A anyway." - That I'll just stick to this "brand" and continue to go with the flow. So, as a business book, this is interesting. Now, definitely this is NOT a prescription or blueprint on how to become an internet celebrity. This is just one guy's story. There are some things I will try to use in this book for me, but many more things that I will not use - because, as Gary says, "it's not in my DNA." Update: Greeting to those of you who clicked over from the wonderful Musings of a Dinosaur blog. If you like what you read on this post, I invite you to check out my other writings. Thanks for stopping by! Here is another example of how/why social media is so cool. This morning someone on twitter, "re-tweeted" my link about today being American Heart Month (btw, thanks to everyone who retweets my stuff. i really appreciate it). When I clicked on his blog, I found out that Bryan Mccolgan is a third year medical student at Columbia and has been video blogging (vlogging) his entire third year of medical school. In the video below, he talks about the very first time he was in the OR. Ah, yes, I remember my first day going into the OR. Anyway, there are more videos on his blog called Becoming A Doctor. I encourage you to check it out (don't forget to tell him Dr. A sent ya - HA!) - also follow him on twitter. I've only been able to check out a few videos this afternoon, but what I've seen is good stuff. I've also put out an invite for him to be on The Doctor Anonymous Show. Hopefully, he'll be interested and will find the time (in a busy third year med school schedule) to be on the show. Enjoy this innovative blog! "Hey doc," the patients says, "I think I got wax in my ear." I reply, "Well, that makes it hard to hear me, then, huh?" "WHAT?" - the patient yells. Oh yeah, I say to myself. "I've been having this ever since I was a kid. Every few months, I need my ears cleaned out." So, I look in there, and it's the most amount of wax I've seen in a long time. "Sir, do you use q-tips to clean our your ears?" I ask the patient. "Well, yeah, I think I've been doing a good job at keeping things clean, don't you think?" "Well, I wouldn't recommend that because it looks like you've been pushing the wax further in there." "WHAT?" So, we're able to get some of the wax out of there only to find a lot of redness and irritation in the ear canal. "Doc, I still can't hear. Are you sure that you got all the wax out of there?" "Well, sir, there is no more wax in there now. It looks like there is an infection underneath, and that's what causing the problem now." "WHAT?"